Tonight on CBS CRIMINAL MINDS returns with a new episode called, “The Gathering.” On tonight’s show Kevin gets jealous when he learns Garcia may have a new love interest. Did you watch the last episode before the hiatus? We did and we recapped it here for you! On tonight’s show The BAU investigates victims who were documenting their personal lives and inner desires on blog posts and social media. Also, Kevin gets jealous when he learns Garcia may have a new love interest. This week’s episode begins with the BAU still trying to hunt down the replicator. The problem is they have no leads and are losing sleep and ignoring other cases in favor of this stalled out one. As the BAU is meeting, a woman named Nicole was being hassled in a restaurant parking lot by her boyfriend. A man intervened and called her by her name. He smeared her lipstick and shoved her into her car. Hours later she and another woman were both found dead with their tongues ripped out. In a flashback sequence, Laura- the other victim_ hid in a closet while the killer murdered her husband before catching up with her. The victims had nothing in common and only the male kept his tongue. Laurel had a security system installed a few weeks before her death. The BAU realizes that the women had their tongues cut out while alive. Garcia does some online searching and realizes that the only thing the women had in common was an active online life. The unsub is paying attention to their every move and in their postings they unknowingly describe their own murders in advance. A man named Peter is revealed to be watching women online. He leaves his work cubicle and is watching women swim laps. The story then cuts over to a guy reading from an online posting about a frusterated guy that is never acknowledged by a particular girl. The post ends with him claiming he’ll be the last face she sees tonight, as the girl is chocked in a laundromat and her tongue is cut out. Kayla, the last girl killed makes the news and her killing is linked to all the others. Peter just so happens to be watching and he flips out because those are his girls and his stories. Peter goes to a writing group and he hands the leader the last story of the night to read. In it Peter says he is going to make someone pay for taking away what he loved and as the leader reads Peter is staring holes through him. As he is reading Garcia has dug up the details on this writing instructor named Mark. 3 years ago he went AWOL from a job and tongueless bodies started turning up. Peter confronts Mark and kills him for destroying his stories. Then Peter takes aim at the remaining blogger that he likes, a woman named Tammy. Peter shows up at the pool where she swims and asks her to convince him not to kill her. 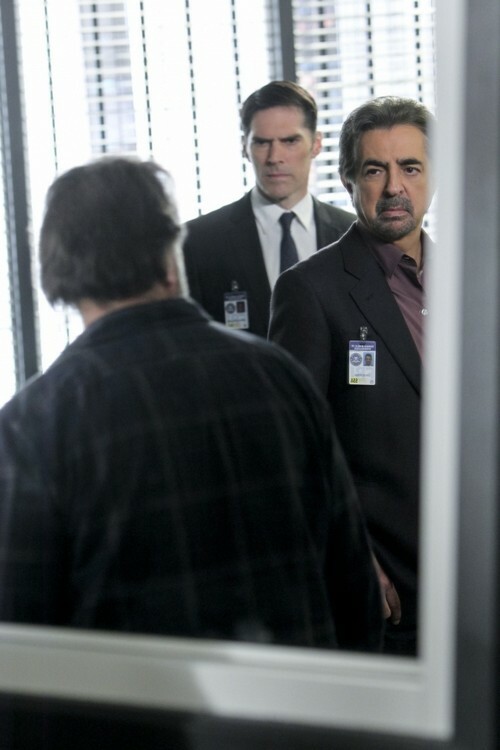 The BAU arrives as he tries to drown her and Peter puts the knife to his own neck. They try telling him the truth thinking that more than anything Peter needs honesty. Peter tells them he appreciates the honesty and then slits his own throat. Peter dies in the pool as everyone looks on in horror. Tune in next week for more Criminal Minds.